1.1 What is a Traumatic Brain Injury? 1.1.3 What happens in a TBI? This page acts as your basic framework on TBI. The following information will give you a clear overview of what a brain injury is, how it is measured, the stages of recovery and the impact on function of the brain. Near the end, I have included a survivor's story on the reality of living with a TBI. For more in-depth information on the various conditions, please refer to the subpages listed above. Traumatic brain injury is damage to the brain as the result of an injury. Traumatic brain injury usually results from a violent blow or jolt to the head that causes the brain to collide with the inside of the skull, and is generally known as a 'closed' head injury. An object penetrating the skull, such as a bullet or shattered piece of skull, is known as an 'open' head injury. Mild traumatic brain injury may cause temporary, or longer lasting, dysfunction of brain cells. More serious traumatic brain injury can result in bruising, torn tissues, bleeding and other physical damage to the brain that can result in long-term complications or death. A concussion is a traumatic brain injury that alters the way your brain functions. Effects are usually temporary, but can include problems with headache, concentration, memory, judgment, balance and coordination. Concussions are common, particularly if you play a contact sport, such as football. But every concussion injures your brain to some extent. This injury needs time and rest to heal properly. Luckily, most concussive traumatic brain injuries are mild, and people usually recover fully. Always see your doctor if you or your child has received a blow to the head. Seek emergency medical care if there are any signs or symptoms of traumatic brain injury following a recent blow or other traumatic injury to the head. Note: The terms "mild," "moderate" and "severe" are used to describe the effect of the injury on brain function. A "mild" injury to the brain is still a serious injury that requires prompt attention and an accurate diagnosis. A severe blow or jolt can cause multiple points of damage because the brain may bounce back and forth in the skull. Bleeding in or around the brain, swelling, and blood clots can disrupt the oxygen supply to the brain and cause more widespread damage. Vehicle-related collisions. Collisions involving cars, motorcycles or bicycles — and pedestrians involved in such accidents — are a common cause of traumatic brain injury, particularly among adults in their early 20s. Sports injuries. Traumatic brain injuries may be caused by injuries from a number of sports, including boxing, football, baseball, lacrosse, skateboarding, hockey, and other high-impact or extreme sports. 'Brain injury caused by trauma to the head (including the effects upon the brain of other possible complications of injury, notably hypoxemia and hypotension, and intracerebral haematoma)'. In other words, a brain injury is caused at least initially by outside force, but includes the complications which can follow, such as damage caused by lack of oxygen, and rising pressure and swelling in the brain. A third injury can occur at any time after the first and second injuries, and can cause further complications. There are three sorts of first injury - Closed, Open and Crush. Closed head injuries are the most common type, and are so called because no break of the skin or open wound is visible. These often happen as a result of rapid acceleration or deceleration, for example when a car hits a brick wall, or a car is hit from behind at traffic lights. The head is rocked back and forth or rotated, and the brain must follow the movement of the skull. It can twist, and the billions of nerve fibres which make up the brain can be twisted, stretched and even torn in the process. Even mild injuries of this sort can produce damage which is quite widespread throughout the brain. This is defined as diffuse brain injury. The front of the skull has sharp bony ridges with which the brain can also collide, causing more damage. Arteries and veins running through the brain can be damaged, allowing blood to leak. These are not so common. In this type of injury the skull is opened and the brain exposed and damaged. This could be due to a bullet wound, or collision with a sharp object such as a motorcycle brake lever, or being hit by a pickaxe. If the damage is limited to one specific area, outcomes can be quite good, even though the accident may have seemed horrific. In many cases, however, this type of injury may be combined with an acceleration type injury as well. In this type of injury, the head might be caught between two hard objects, such as the wheel of a car and the road. This is the least common type of injury, and often damages the base of the skull and nerves of the brain stem rather than the brain itself. There may be no loss of consciousness. This happens when the brain is starved of oxygen, which makes damage from the first injury worse. It can happen for several reasons. Examples are choking on vomit after an accident, blood blocking a person's airway, or by the position which someone is lying in obstructing their airway. If other injuries are present, as they often are, serious blood loss can affect blood flow to the brain. As a result, the amount of oxygen reaching the brain can be reduced. Understanding the relationship between the first injury and the effects of lack of oxygen has led to improvements in the kind of emergency treatment administered at the site of an accident by paramedics. They will make sure breathing is maintained and blood pressure is brought back to normal levels by emergency transfusions. This can take place at any time after the first and second injury, in the days and sometimes weeks which follow, and could be as a result of bleeding, bruising or swelling in the brain or because blood clots have developed. Blood leaking from torn blood vessels and other body fluids leaking into the area cause the brain to swell. This is a serious problem because the skull is a fixed space, and there is no room for expansion. It causes complications in two ways. Firstly, the walls of the skull are hard and unyielding, and damage the soft brain when it squeezes against them. Secondly, when the brain swells it can squeeze the blood vessels, limiting the brain's blood circulation. This can be fatal, so intracranial pressure is monitored very carefully once the patient is in hospital. Measures to reduce the risk of raised pressure include putting the patient on a ventilator to ensure a good supply of oxygen, and controlling the amount of water and salts in the body to cut down on the flow of fluid into the brain. Blood clots occur when blood has leaked from damaged veins and arteries and then pools into a clot. They can press on the surrounding brain tissue which can damage it, and they also raise pressure in the brain. Clots can occur in the brain itself (an intercerebral clot) or in the space between the brain and the skull (a subdural or an extradural clot). Blood clots, also called haematomas, can occur after quite minor injuries, and this is why patients are often kept under observation in hospital until the risk of a clot forming is likely to be over. Damage to the nerve fibres deep in the central part of the brain, which normally keeps a person awake and alert, results in the most obvious of symptoms - coma. This link between damage to particular parts of the brain and a corresponding lack of brain function means, for example, that damage to the side of the brain (parietal lobes) results in weakness in the limbs on the opposite side of the body. Injury to the left side of the brain or the brain stem itself tends to cause speech and language impairment. Coma, loss of power in the arms and legs, and speech impairment are the most visible signs of brain injury. However, traumatic brain injury causes numerous 'hidden disabilities' in that it results in changes to personality, thinking and memory. For example, damage to the brain behind the forehead (frontal lobes) results in behavioural problems, such as loss of insight and self-restraint. After a traumatic brain injury, whether or not the person was actually unconscious, a state occurs where the person seems to be aware of things around them but is confused and disorientated. They are not able to remember everyday things or conversations, and often do or say bizarre things. This is called Post-Traumatic Amnesia (PTA), and is a stage through which the person will pass. The length of PTA and/or loss of consciousness are important as they give an indication of the severity of the injury. The term 'Coma' is often used to describe longer periods of unconsciousness. The table below gives a rough guide to how these measures affect the severity of the injury, although it is worth noting that everyone is different and categorising injuries in this way doesn't always give an accurate measure of the long-term effects. The effects of a minor head injury can be anything but minor to the person concerned. They can include nausea, headaches, dizziness, impaired concentration, memory problems, extreme tiredness, intolerance to light and noise, and can lead to anxiety and depression. When problems like this persist, they are often called post-concussion syndrome. In most cases these symptoms will resolve themselves within two weeks. However, in some cases they may persist much longer. Try not to rush back into normal activities, as this may delay recovery. If you still have any symptoms after two weeks we suggest you see your GP and take our 'Minor head injury discharge advice' factsheet with you. It may be possible to seek referral to a head injury specialist such as a neurologist or neuro-psychologist. A common problem is that either no scans were done at the time of the accident, or subsequent scans show no damage. This frequently gives rise to the impression that there is nothing medically wrong. The persistent problems can be misunderstood by GPs, sometimes being considered as almost hypochondria on the part of the patient. Although it is true that in some cases where the symptoms persist for months a psychological element such as depression can come into play. While this may make existing conditions even more difficult to live with, it is not on the whole true or helpful to say that 'it is all in the mind'. A second opinion should be sought from a neurologist or neuro-psychologist. It is important that relatives and employers are warned about the possible effects of a minor head injury, and for plans to be made accordingly. These might include not rushing to return to work, keeping stress to a minimum in the short term, and abstaining from alcohol. One study showed that almost one third of people with a minor head injury were not working full-time three months after receiving the injury, although other studies have been much more optimistic. Difficulties are certainly made much worse if the person has a mentally demanding job where there is a low margin for error. The general conclusion seems to be that the vast majority of people who experience a minor head injury make a full recovery, usually after 3-4 months. However there is a very small sub-group whose recovery is not so good. A moderate head injury is defined as loss of consciousness for between 15 minutes and 6 hours, or a period of post-traumatic amnesia of up to 24 hours. The patient can be kept in hospital overnight for observation, and then discharged if there are no further obvious medical injuries. Patients with moderate head injury are likely to suffer from a number of residual symptoms. The most commonly reported symptoms include tiredness, headaches and dizziness (physical effects) difficulties with thinking, attention, memory planning, organising, concentration and word-finding problems (cognitive effects) and irritability (an emotional and behavioural problem). These symptoms are accompanied by understandable worry and anxiety. This can be particularly pronounced if the patient has not been warned that these problems are likely to arise. If the patient expects to be perfectly well within a few days and symptoms are still prominent after a few weeks, they may worry or feel guilty. This has the effect of creating a vicious circle leading to more symptoms and so on. A large proportion of people find that when they return to work they have difficulties and feel that they are not functioning at their highest level. For the majority of people these residual symptoms gradually improve, although this can sometimes take 6 to 9 months. Severe head injury is usually defined as being a condition where the patient has been in an unconscious state for 6 hours or more, or a post-traumatic amnesia of 24 hours or more. These patients are likely to be hospitalised and receive rehabilitation once the acute phase has passed. Depending on the length of time in coma, these patients tend to have more serious physical deficits. A further category of very severe injury is defined by a period of unconsciousness of 48 hours or more, or a period of PTA of 7 days or more. The longer the length of coma and PTA, the poorer will be the outcome. However, there are exceptions to this rule and, just as there is a small group of people who have a mild head injury who make a poor recovery, so there is a small group of individuals who have a severe or very severe injury who do exceptionally well. Coma can be defined as a state of depressed consciousness where the patient is unresponsive to the outside world. Unconsciousness follows traumatic brain injury, whether for a few seconds or for a few weeks, and is the most typical symptom of a head injury. A small number of people sustain a head injury so severe that they remain in a state of coma for months and years without recovering sufficient consciousness to make any form of communication, but can breathe without mechanical assistance. This is called 'Persistent Vegetative State (PVS)'. Everyone who has had a head injury can be left with some changes in emotional reaction and behaviour. These are more difficult to see than the more obvious problems such as those which affect movement and speech, for example, but can be the most difficult for the individual concerned and their family to deal with. Brain injury may occasionally cause damage to the hypothalamus and/or pituitary gland, which can lead to insufficient or increased release of one or more hormones. Coma. A person in a coma is unconscious, unaware of anything and unable to respond to any stimulus. This results from widespread damage to all parts of the brain. After a few days to a few weeks, a person may emerge from a coma or progress to a vegetative state. Vegetative state. Widespread damage to the brain can result in a vegetative state. While the person is unaware of his or her surroundings, he or she may groan or have open eyes or reflex responses. It is possible that a vegetative state can become permanent, but often individuals progress to a minimally conscious state. Locked-in syndrome. A person in a locked-in state is aware of surroundings and awake, but he or she can't move or speak. The person may be able to communicate with eye movement or blinking. This state results from damage limited to the lower brain and brainstem. Some people with traumatic brain injury will have seizures within the first week. More-serious injuries may result in recurring seizures, called post-traumatic epilepsy. Skull fractures or penetrating wounds can tear the layers of protective tissues (meninges) that surround the brain, thereby enabling bacteria to enter the brain. An infection of the meninges (meningitis) can be especially dangerous because of its potential to spread to the rest of the nervous system. Injuries to the base of the skull can damage nerves that emerge directly from the brain (cranial nerves). Most people who have had a significant brain injury will experience changes in their cognitive skills. If you observed someone being injured or arrived immediately after an injury, you may be able to provide medical personnel with information that's useful in assessing the injured person's condition. CT scans. Computerized tomography (CT) is a specialized X-ray technology that can produce thin cross-sectional images of the brain. A CT scan can quickly visualize fractures and uncover evidence of bleeding in the brain (hemorrhage), blood clots (hematomas), bruised brain tissue (contusions) and brain tissue swelling. MRIs. Magnetic resonance imaging (MRI) uses a magnetic field and radio waves to produce cross-sectional or 3-D images of soft tissues. Doctors rarely use MRIs during emergency assessments of traumatic brain injuries because the procedure takes too long to complete. The device may be used after a person's condition has been stabilized. Intracranial pressure monitor. Tissue swelling from a traumatic brain injury can increase pressure inside the skull and cause additional damage to the brain. Doctors may insert a probe through the skull to monitor this pressure. These tests are effective in seeing major disruptions or damage to the brain, as is the case with open head injuries and severe brain injuries. It is common for people with mild traumatic brain injuries to receive 'normal' results. In these cases, other diagnostic tests, such as neuro-psychiatric assessment, are better able to pick up more subtle changes in functioning. Mild traumatic brain injuries usually require no treatment other than rest and over-the-counter pain relievers to treat a headache. However, a person with a mild traumatic brain injury usually needs to be monitored closely at home and with a follow-up doctor appointment for any persistent, worsening or new symptoms. Your doctor will advise you on when it's appropriate to resume work, school or recreational activities. He or she is likely to advise a gradual return to normal routines. Emergency care for moderate to severe traumatic brain injury focuses on making sure the person has an adequate oxygen and blood supply, maintaining blood pressure, and preventing any further injury to the head or neck. People with severe injuries may also have other injuries that need to be addressed. Rehabilitation aims to help the brain learn alternative ways of working in order to minimise the long-term impact of the brain injury. Rehabilitation also helps the survivor and the family to cope successfully with any remaining disabilities. If a person with a brain injury no longer requires intensive rehabilitation but still needs further support, there are a number of options for continuing care. 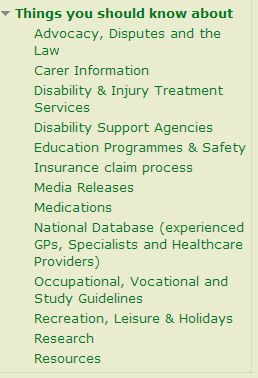 This includes residential/nursing care, intermediate care and care at home. If you are caring for someone with a brain injury, or have a relative being treated in hospital, then the information here should help you to meet the challenges ahead and find the support you need. Brain injury doesn't just affect individuals; it can transform the lives of entire families. Depending upon the severity of your relative's injury and its effects, you may have to make considerable changes to the way you live, such as becoming a part-time or full-time carer. Traumatic brain injury has been called a “silent epidemic.” Each year, the Centers for Disease Control and Prevention say, 1.4 million Americans sustain a traumatic brain injury, or TBI—often in car accidents, falls, or sports mishaps. Experts believe the number of TBIs is higher because the estimate reflects only emergencyroom visits, and many patients never go to a hospital. During appointments, doctors didn’t always notice her deficits. She wasn’t selfaware enough to see them. Even Anne began to wonder: Was it psychological? “It’s a period where you’re vulnerable because you’re not sure what’s wrong,” she says. The neuropsychologist said that Anne was doing too well for rehab. She suggested that maybe Anne wasn’t better because she didn’t want to get well. Anne was confused— it took such effort to process what the doctor was saying—that only later, when telling Kathy about the appointment, did she get upset. So with help—Michael got her packed; a friend helped her set up an apartment— Anne decided to move to Austin, at least for a while. There she’d be not only with Michael but with childhood friends. Liz Joiner, a speech and cognitive therapist, helped Anne identify her deficits and learn to work around them. Anne couldn’t organize herself, so Joiner designed a threering binder that Anne calls her “brain.” In it, divided by colored tabs, are calendars and to-do lists. Writing something down means it’s more likely to get into memory. Anne’s brain worked better when fed smaller bits of information, so Joiner retaught her tasks by breaking them down. Paying a bill might involve ten steps, including “get a pen.” While an undamaged brain thinks through the steps automatically, someone with brain injury needs cues. Eventually, the steps can become automatic again. Through BIAA as well as the Speaker’s Bureau of Brain Injury Services, another nonprofit, she’s made speeches at hospitals and universities. While Anne might need help writing speeches, many of which have been directed to neuropsychology students and rehabilitation specialists, her message comes through: Do not give up on braininjury patients. Bay of Plenty Brain Injury Association. Brain Injury Association (Canterbury/West Coast) Inc.
Central Districts Brain Injury Association. Eastern Bay of Plenty Brain Injury Association. Hawkes Bay Brain Injury Association. In the spirit of sharing, “Some of the Many Sides and Challenges of Acquired Brain Injury” was created for families and individuals who wish to better understand this invisible injury, it's numerous deficits and challenges that survivors can be faced with for years after. The Palmerston North Coffee Club gives a little time for a chat and an opportunity to meet new people. The Coffee Club happens the on the FOURTH WEDNESDAY of every Month at the Sponge Kitchen Cafe at 10.00AM. No need to let us know your coming, just show up! If you would like to know more information regarding the Coffee Club or The Brain Injury Association, feel free to send an email, or better yet, give us a call. Carer's Support Group is a great way to meet other individuals who are supporting someone with a Brain Injury and creates a fantastic networking group for those living with, or caring for a person with a brain injury. The Carer's Supprt Group happens on the FIRST MONDAY of the month at Community House in Palmerston North at 6.00PM. For this event you will need to contact the Brain Injury Association to let us know you're coming. Its always handy to bring a note book to write down information that other people find encouraging and informative and don't be afraid to have plenty of questions ready! For this event, you will need to call The Brain Injury Association to confirm a spot and make sure we know that you're coming! The Palmerston North Coffee Club gives a little time for a chat and an opportunity to meet new people. The Coffee Club happens the FIRST TUESDAY of every month at Capers in Downtown on Broadway at 10.00AM. No need to let us know your coming, just show up! Learn and gain coping strategies for dealing with a person with brain injury, in a safe environment that people feel confident to share their experiences. Support each other with problems you are having with your family member. A opportunity to get to know new people who understand. Supper will be served. We are starting a monthly women’s support group and would like to get an idea of those that would be interesting in attending and any volunteers who would like to help with the running of the group. Providing a mutual support network to people who have brain injuries and their families. Providing a mutual support network to people who have head injuries and their families.